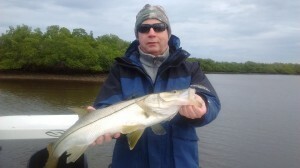 We caught this nice snook today, south of Everglades City, using live pilchards for bait . Snook season opens on March 1st, so don’t miss out on the action! Give me a call, and let me get you out on the water for a day of fishing!